In the bowl of stand mixer fitted with a paddle attachment, or in a bowl with a hand-held mixer, beat the butter and brown sugar together on high speed until pale and creamy, about 3-5 minutes. Scrape down the bowl and add the eggs one at a time, mixing after each. Mix in the vanilla. In a separate bowl combine the flour, cinnamon, baking soda, and salt. Add to the stand mixer and mix on low until incorporated. 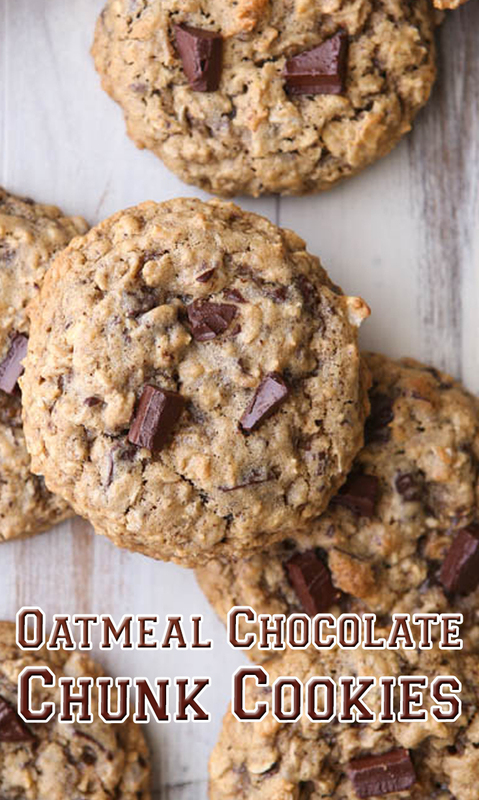 Add the oats and chocolate chunks and mix until just combined. Drop by rounds onto the prepared sheet pan. I used a #20 (3 Tbsp) cookie scoop for these slightly larger cookies. Bake until edges just begin to turn brown, about 8-10 minutes. Let cool on the baking pan 5 minutes, then transfer to a wire rack to cool completely. Store cookies in an air-tight container at room temperature for up to 5 days.